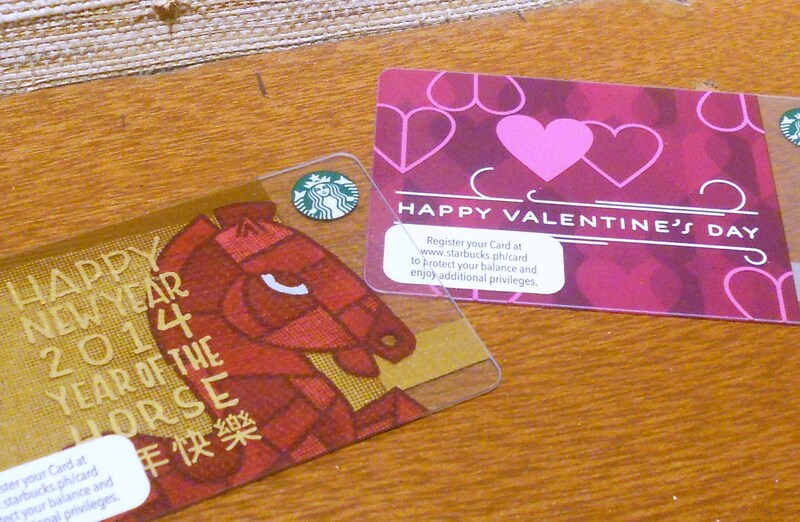 Starbucks Card new promotions for Lunar New Year and Valentine's Day - Hits and Mrs.
Starbucks Philippines really knows how to make its customers happy. They not only offer new food, drinks, and merchandise; they also present its loyal fans with special promotions. Celebrate the Lunar New Year and Valentine’s Day with these new card designs, available until February 24, 2014. That’s not all, because there are amazing treats that await Starbucks Card holders. 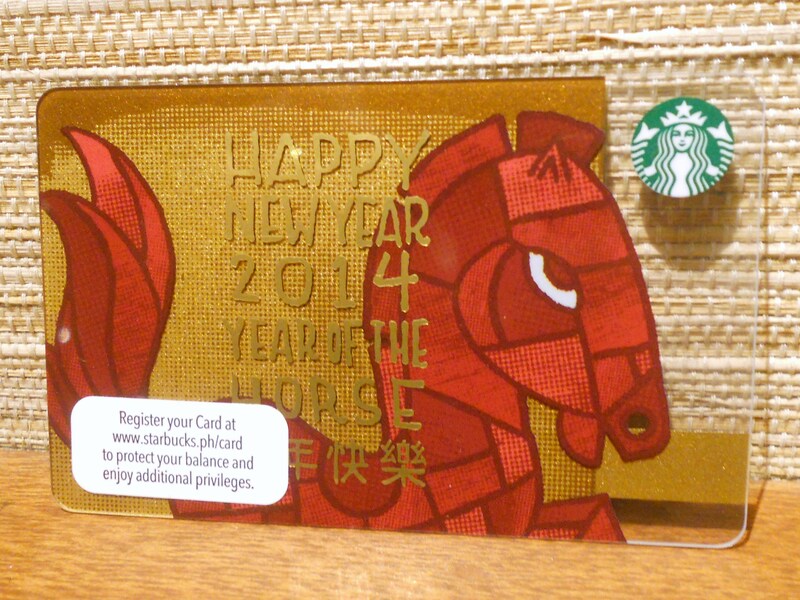 Let this shiny Starbucks Card bring you luck this Year of the Wooden Horse. Also, for the month of January, there’s a promo coupon in the Starbucks 2014 Planner for Starbucks Card activations. Check your planners and find the coupon that says that if you activate a new Starbucks Card with PHP1,000, you get an extra PHP100 load. Just remember to activate those new cards until January 31 to get this promo. That’s not all: from February 1 to 24, if you activate your new Starbucks Card with PHP500 or reload your existing card with PHP500, you automatically get 1 beverage star. In addition, you get an extra beverage star when you load in increments of PHP500 during the promo period. So for example, you reload your card with PHP1,500, you instantly get 3 beverage stars. Easy way to collect those 12 beverage stars, right? 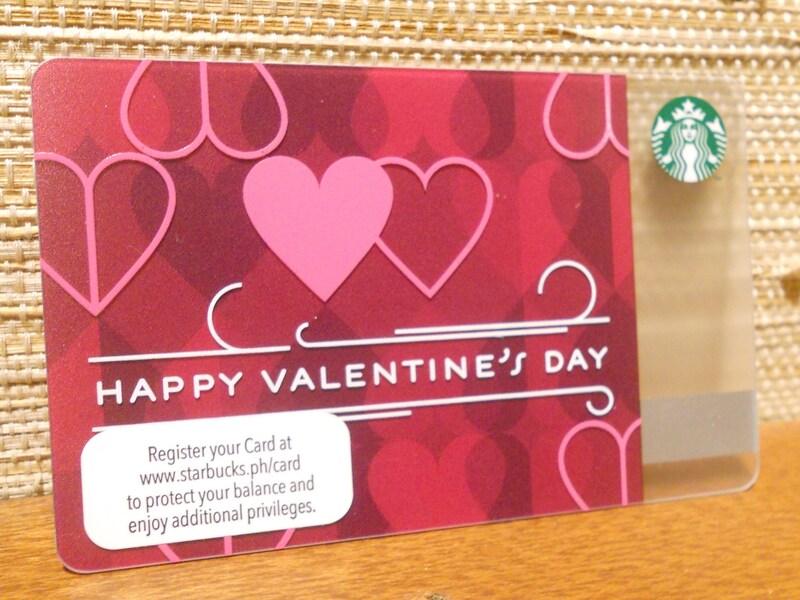 This pretty pink Starbucks Card is a perfect gift for your special someone. Last is a Valentine’s treat for all coffee lovers out there. From February 8 to 14, you can get a free slice of cake — any cake available in the stores — when you purchase 2 Asian Dolce Lattes and/ or Chestnut Macchiatos using your Starbucks Card. Now isn’t that a great Valentine’s date idea. All these awesome promos are made possible with a Starbucks Card. So get one today and receive superb rewards for every use. I had a hard time registering my card as well during the first time. It took a lot of tries before I was able to register my card. Just keep trying, it’s probably a glitch in their system. Try registering early in the day. Hope this helps!